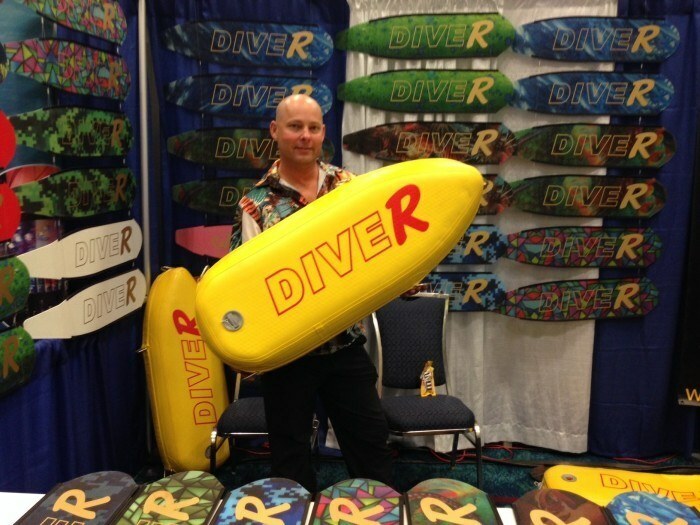 The Blue Wild Ocean Adventure Expo isn’t limited just to local, Florida-area dive exhibitors. Probably the longest trip taken was by Ray Powell, owner of DiveR Australia in Queensland. Powell told DeeperBlue.com that he rarely misses a Blue Wild Expo. Powell also likes to sponsor up-and-coming, young freedivers like 13-year-old Aussie spearfisher Hayden Montgomery. At Blue Wild 2015, DiveR Australia was showcasing the company’s carbon freediving fins, plus spearfishing floats and long-sleeve shirts that protect you from the sun. For more information, check out the DiveR Australia website or find them on Facebook and Instagram.